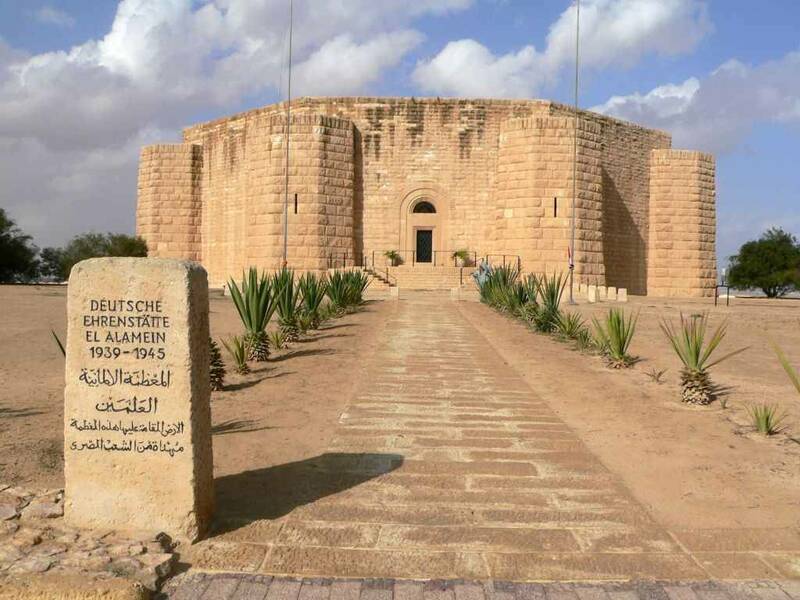 Explore the legacy of the Second World War in Egypt with a full-day, private tour to El Alamain Military Museum, the Commonwealth Cemetery, and the German Cemetery from Alexandria. This convenient tour includes door-to-door transport, entrance fees, lunch, and a personal guide. Begin with pickup at your Alexandria hotel, and make the 60-mile (100-km) journey to Alamain in a private vehicle. Learn the story of Rommel’s defeat at the Second Battle of El Alamain, which turned the tide of the war in favor of Allied troops. Follow the conflict through exhibits that share Egyptian, German, and British perspectives on the fighting. See uniforms worn in Egypt during the Second World War, along with weapons and other military artifacts. Continue to the Commonwealth Cemetery, where soldiers from all around the Western Desert campaigns are buried alongside those who died in the Battle of El Alamein. There are 6,425 unmarked graves in the cemetery, along with 815 graves from unknown soldiers. See the ossuary-style German military cemetery on a hill outside town, beside the Italian cemetery. At the end of your time in Alamain, make the return trip to Alexandria. This tour concludes with drop-off at your hotel.